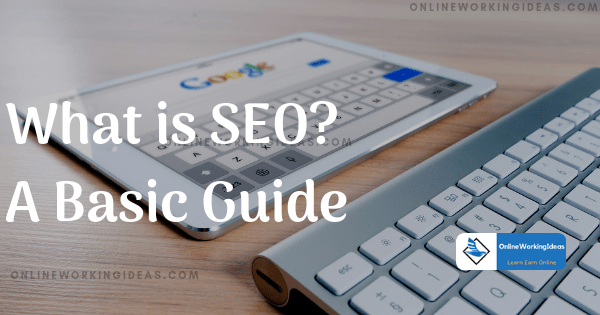 Learn The Basics of SEO – Basic Optimization Guide. Optimising post with proper SEO helps to increase organic traffic to your blog. It makes your blog popular. SEO make others to explore your information shared on your blog. SEO is used as one of the marketing techniques in digital marketing industry widely used by many webmasters. Simply, SEO is a process of optimizing a blog post so that it appears on the front page of search engine results. The best blog post written is said to be fulfilled only when it receives a considerable amount of daily traffic. So, your blog post should be optimized undoubtedly, there is no second thought. Hi everybody, In this post, I am going to explain what is SEO and how it works? I will try to explain it in a simple way so that you understand it easily. After reading this post you will be familiar with the term SEO, and its working. Fine, Let’s get into some technical stuff. SEO stands for Search Engine Optimization, which is one of the main factors to get the traffic to your website. As of Today, Every second, people do 40,000 searches on google. On average which translates to over 3.5 billion searches per day and 1.2 trillion searches per year worldwide. 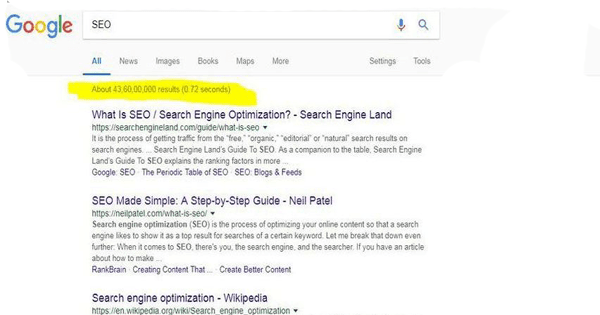 The above-highlighted figure shows about 43 crores of results found within 0.72 seconds and these results are spread into the number of pages in the Google. Do you believe that only 6% of people click on the second page, balance 94% of people click results on the first page? If they can’t able to find what they are looking for, they change the search terms instead of moving to the second page. So, every webmaster in this world competes for arriving their websites blog posts in the first page results. 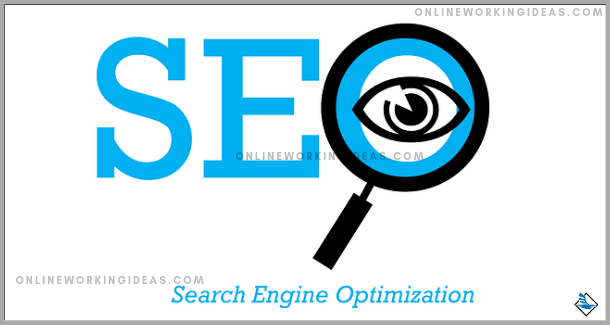 Now, the term SEO – Search engine optimization comes into the picture. The blog post should be properly optimized to arrive on the first page of the Google results. There are other search engines like, bing, yahoo etc., which also works the same as Google. If you are searching for a term “SEO” in search engine, your website post should arrive in the first page results, if not, it’s similar to that, your website doesn’t exist. So, to arrive on the first page, your website should be properly optimized so that more visitors visit your website. SEO is classified into two main categories, one is On-page SEO and the other Off page SEO. The On-page SEO depends on searching the keyword provided, how often it was mentioned on your website. Similarly, Off-page SEO means how many backlinks pointing or referring to your sites. On page SEO includes factors like keyword research, proper title tag, adding modifiers, sprinkling LSI keywords, site loading speed, post length etc. Nowadays Image optimization and using social sharing buttons are also considered while performing On-page optimization. If a blog post is optimized for the above factors, then the work is done for on page SEO. Off page SEO is based on backlinks, especially the number of authoritative backlinks the blog post consists of. Backlinks are nothing but, a hyperlink from another website to your blog. If the written post is in good quality and more informative then the post will gain its links automatically. Google algorithm analyze the post for On-page optimization and backlinks to show in the top search results. To generate organic traffic to our website, some basic factors to be considered while optimizing. First of all, we should know what our customers are searching for? which is known as keyword research. So, the first process in SEO is Keyword research. Keywords are simply referred to the queries which people used to type while searching for any queries. Also, the search engine picks your website and index in their database based on the keywords you have targeted for. Based on the keyword density in your article, the search engine will assign your website page rank and show it to the searcher. So, its important for a website to have proper keywords often in the post and more valuable backlinks. After arriving with the best keyword, we need to create valuable content around the primary keyword we found. If we find the proper keyword, then we can work on the Search Engine Optimization strategy. We can choose the most searchable and low competitive keywords to write a post on it. Some people use long tail keywords to gain traffic to their post. Keyword research can be carried out using free or paid tools. Google keyword planner is a perfect example of a free tool to analyze keywords. Paid tools like KWFinder, semrush, ahref are the tools commonly used by experts to carry out keyword research in SEO. Now the one question everybody has in their mind is, “How to arrive your post in top ranking in Search engine results”?. The most popular search engine everybody familiar with is Google, other than that, some other search engines are bing, yahoo etc. After launching the new website, one should submit the site to the search engine’s console. Without adding the property in search console, the search engine won’t show your site in search results. The search engine results shown are based on algorithmic factors of respective search engines. The ranking of your blog post depends on many factors. Following are some of the important factors for better SEO ranking. The phrase “Content is King” is true and works all the time. The content provided in the post should be informative, relevant and useful for the readers. Perfect quality content will make a reader stay on your website for a long time which reduces the bounce rate. Dwell time also plays a vital role in SEO rankings, as it is the amount of time visitor spends in your site, for example, if your content is in good quality, it makes the visitor stay on your site. High-quality content makes the visitor visit your site again and convert them into a loyal subscriber. So, one should provide the best content to achieve the good SEO ranking. The content quality is said to be best, when the blogger produce the content for the readers not for the search engines. People always search for a solution and as a blogger, we should identify the problems and write blog posts that can provide a solution for their queries. The same was called as the quality content which helps you rank faster in the search results. The age of the domain plays a vital role in search engine ranking as because most of the websites shown in the top results of search pages are older domains. If your domain is older, search engine considers it as a trustable one and prefer to show in the top of the search results. Page authority and Domain authority is also considered to help achieve top rankings. The difference between the PA and DA is based on measuring the authority of individual pages and the whole domain. To increase your Page Authority and Domain Authority, concentrate on producing more quality contents in your blog. Then, reach out to the other top bloggers in your niche and ask for a backlink through Guestpost, Content Outreach etc. There are some other important factors to consider such as using optimized images, producing informative content also plays an important role. Wikipedia website is a perfect example for a site harnessed with links. Search engines consider the number of high authority links a website have and decide the results to show up on the search page. There are three types of links a website may have, they are inbound links, outbound links, and internal links. It is a link back to your website from another website. If the website linking to your site has the high authority it helps your website for better ranking in search results. It is a link in your website which links or takes to some other websites. For example, in this post, the link in the word Wikipedia is an outbound link. If a link in your web post directs you to another web post on the same website, then its known as internal links. It’s like tieing your web pages within, it helps visitors to read your other articles. On-page SEO and Off-page SEO done on a blog post help to rank the post. The better-optimized post tends to rank better in the search results. The following are some of the techniques used while performing on-page SEO. Every blog post is written based on a primary keyword, and which should be inserted in the title of the blog post. For example, in this post you can find “What is SEO” the primary keyword is inserted in the title of this blog post. Meta Description is a text snippet of a whole page. It actually describes what the page is about. Every post or pages have a purpose to solve, the meta description of a page/post describes to the reader about the purpose of the page in search engine results. As of today, a proper meta description should consist of 150 characters and it should include primary keywords. The body tags such as H1, H2, H3, H4 etc., should be used properly with the perfect URL structure in the blog post for better ranking. The primary keyword should be used inside the article to maintain 1.5% of the total word count of the post. The keywords should not be overused. Search engines also consider the loading speed of a website while showing in the search results. If a visitor opens your website and it takes more time to load, then the visitors won’t prefer your website. It affects the search engine ranking and also reduces the traffic to the website. The best load speed of a website should be less than 3 seconds. The webmaster should optimize the load speed of a website for better ranking. The load speed of a website can be increased by choosing a good host, removing unnecessary plugins, using optimized images, better website structure etc. The following are some of the mistakes done by the bloggers while doing SEO. Keyword density should be maintained properly and over usage or keyword stuffing should be avoided. 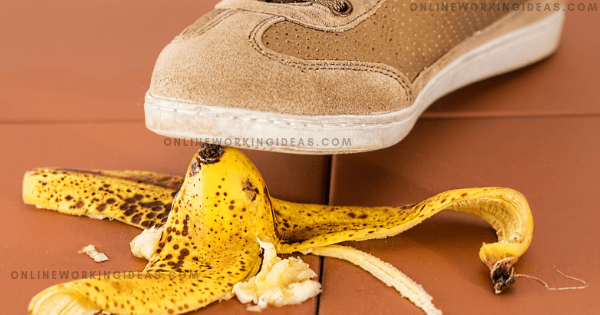 Copying the other authors content, or stealing the published content from another website should be avoided. Search engines will ban the websites which violate copyright laws. The quality of the content on the website should be best for better SEO marketing. The blog page should be maintained and updated so that the links used inside the posts should work. Broken links in posts and pages create bad reputation to the visitors and search engines. Other factors like irrelevant content, nonusage of unique titles, poor meta description, etc., to be avoided for better ranking. So, Every webmaster in this world is competing to show their website in top of the search engine results. If the blog post is optimized perfectly using above SEO techniques, then the post will be on top of the search engine results, there is no second thought on that. I hope, this post is informative and now you are familiar with “What is Seo And How it Works?”. Previous Post How To Write a Good Article and engage your audience in 2019? Next Post How to get visitors to your blog?